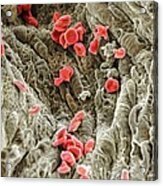 Red Blood Cells, Sem iphone x case by . Protect your iPhone X with an impact-resistant, slim-profile, hard-shell case. The image is printed directly onto the case and wrapped around the edges for a beautiful presentation. Simply snap the case onto your iPhone X for instant protection and direct access to all of the phone's features! 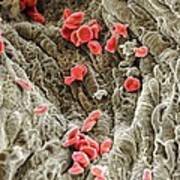 There are no comments for Red Blood Cells, Sem. Click here to post the first comment. 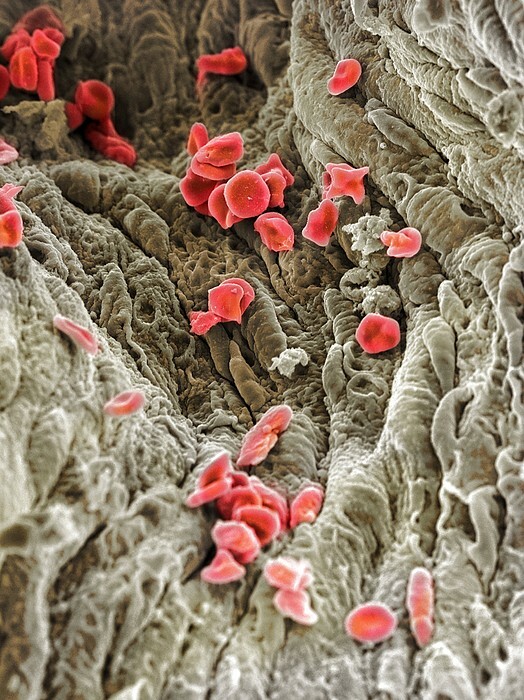 Red blood cells (red) in a blood vessel, coloured scanning electron micrograph (SEM). Red blood cells (erythrocytes) are packed with haemoglobin, a red iron-containing pigment that has an oxygen-carrying capacity. 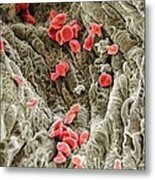 The main function of red blood cells is to distribute oxygen to body tissues and to carry waste carbon dioxide back to the lungs.